Starphire Ultra-Clear™ Glass by Vitro Architectural Glass (formerly PPG Glass) represents the ultimate achievement in highly transparent low-iron glass technology, and is the benchmark in the industry. 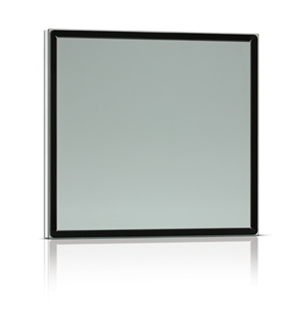 Starphire® glass is manufactured in a variety of thicknesses for vision glass, safety and security glass, point-fixed glazing, and other specialty and decorative applications. When conventional clear glass is laminated into multiple layers or specified in increasing thicknesses, its appearance becomes progressively greener. Starphire Ultra-Clear glass, with its signature blue edge, maintains its clarity and true color transmittance at all thicknesses. Architects can take advantage of this attribute by specifying Starphire extra-heavy glass in thicknesses of up to 19 mm (3/4 in.). Starphire glass provides commercial interior space designers with limitless new possibilities. The unparalleled clarity and color transmission of Starphire glass make it an obvious choice for any interior glazing application. Its sparkling jewel-like blue edges set it uniquely apart from ordinary clear glass. Potential interior uses include dividing walls, spiderwalls, countertops, balustrades, handrails, backsplashes, and doors. When exterior design requirements call for maximized transmission of undistorted natural light, Starphire glass is an ideal choice. Potential exterior applications include vision glazing, skylights, entrances/storefronts, and spandrel glass. Operable wall louvers offer maximum flexibility for airflow control, design, and functionality. To control airflow, these ‘adjustable’ wall louvers contain blades that typically rotate within the louver frame between fully open at a preset angle and fully closed. Energy efficiency is becoming an ever-increasing goal, but it can be difficult with fenestration due to a need to balance performance requirements while remaining economically viable and minimally impacting the environment. Aluminum is a cost-effective building material option that can support green initiatives without compromising design integrity. 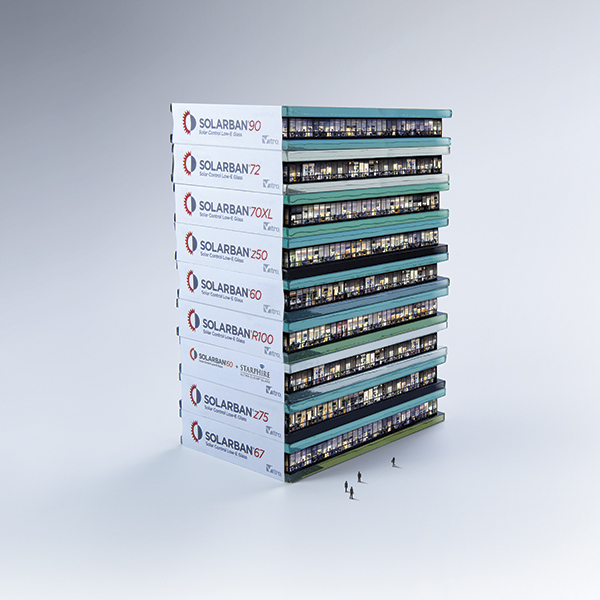 With minimal environmental impact throughout its life cycle duration it is frequently specified for various enclosures and fenestration systems. Laboratory testing of fenestration products to the North American Fenestration Standard/Specification for Windows, Doors, and Skylights (NAFS) verifies the performance of a specimen of the fenestration product itself. 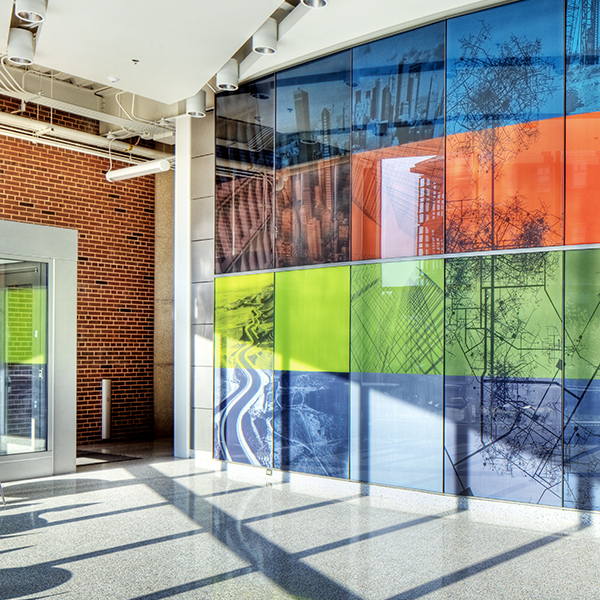 Glass doors and walls in commercial spaces have transformed how people work, play, shop, and socialize. Glass provides a clean, crisp, contemporary look that can allow for natural daylight to flow from one interior space to the next. When properly applied, tests can yield valuable insight into the installed performance of systems, aid investigators in determining the cause of a failure, or help to determine if a product is performing to its intended level.